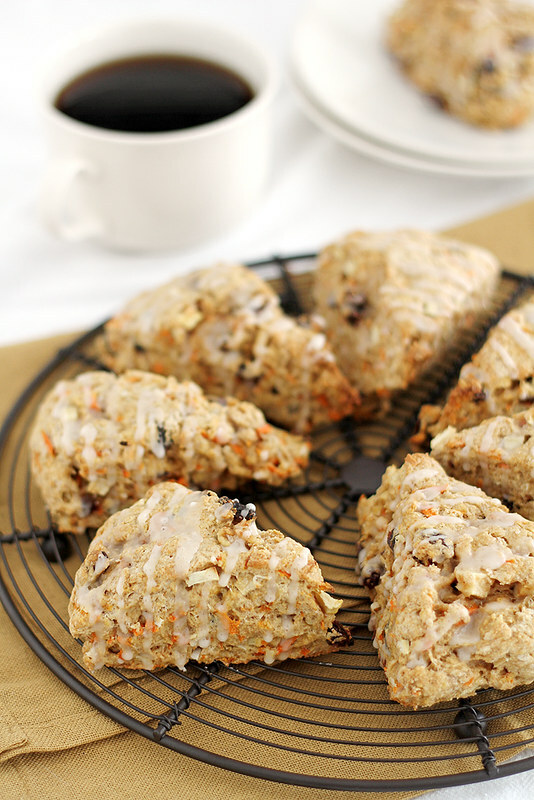 Morning Glory Scones: perhaps the only reason I will get out from underneath my cozy comforter on a winter morn. 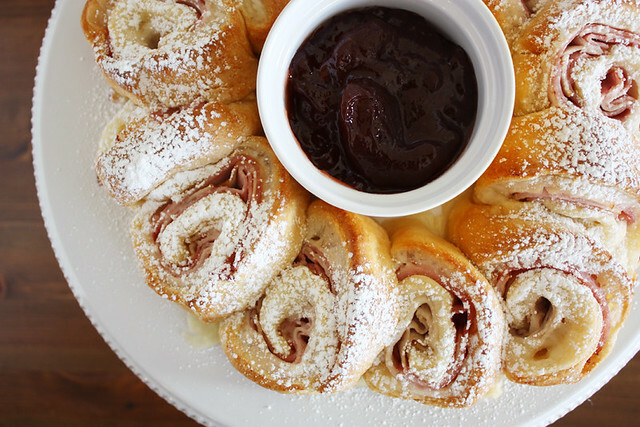 I cannot stress this enough: This Monte Cristo Crescent Ring is a necessity in your holiday party/dinner/late-night-binge-watching-Scandal life. 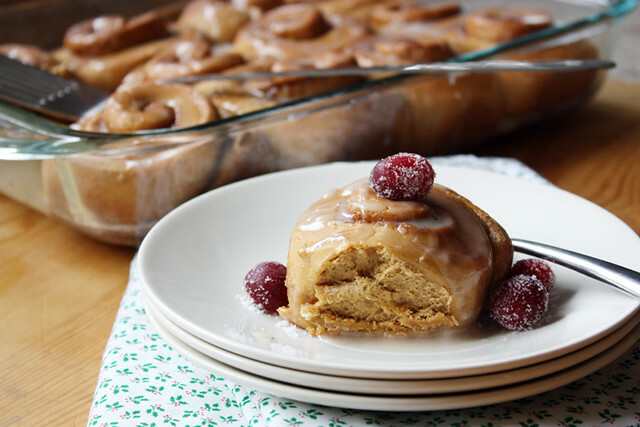 These Gingerbread Cinnamon Rolls taste like gingerbread! 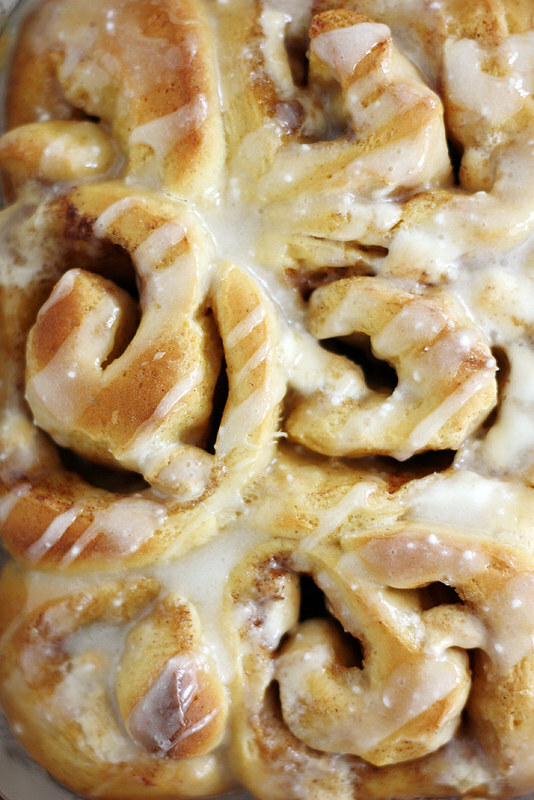 But also cinnamon rolls! IT’S A CHRISTMAS MIRACLE. 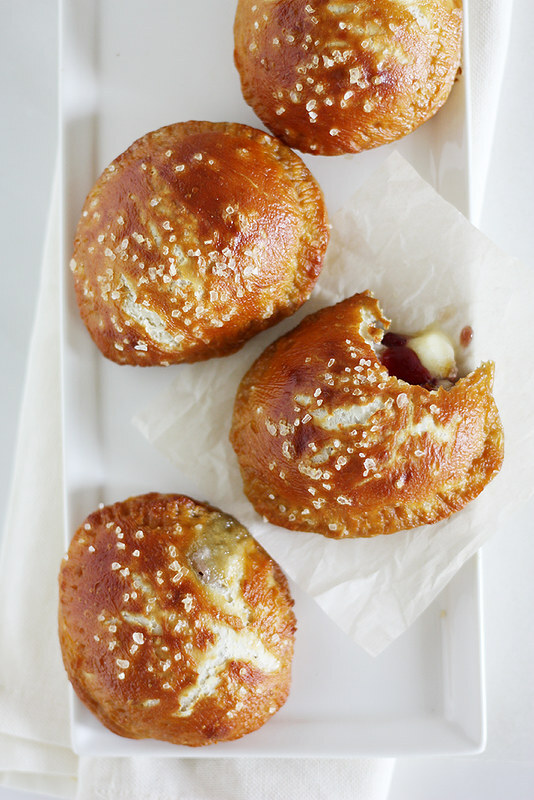 Brie and Jam Pretzel Hand Pies, I will love you the mostest always and forever xoxo. 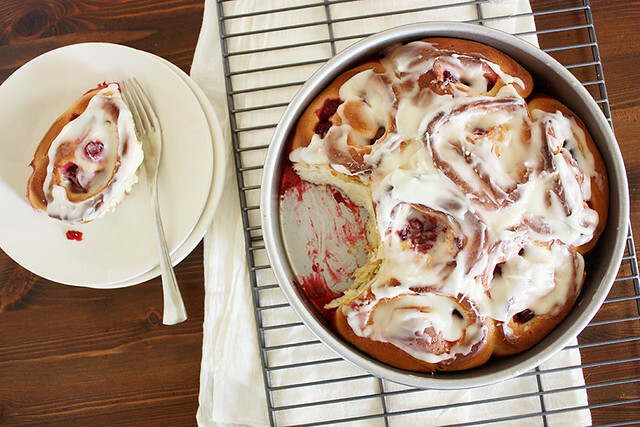 Raspberry Swirl Rolls: Swirl after swirl of sweet berry goodness. 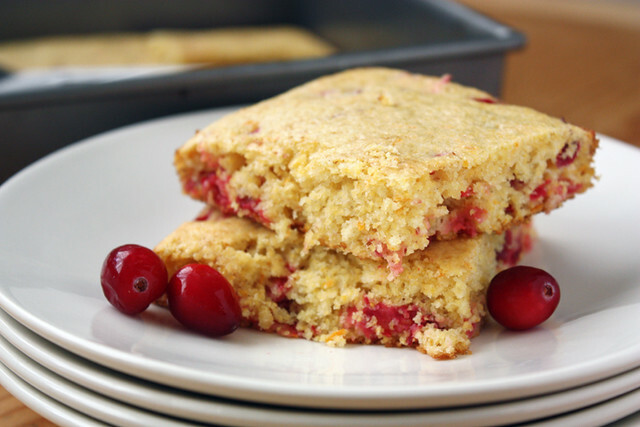 Because you can’t just have regular cornbread around the holidays, obvi, so you need this Cranberry Orange Cornbread. 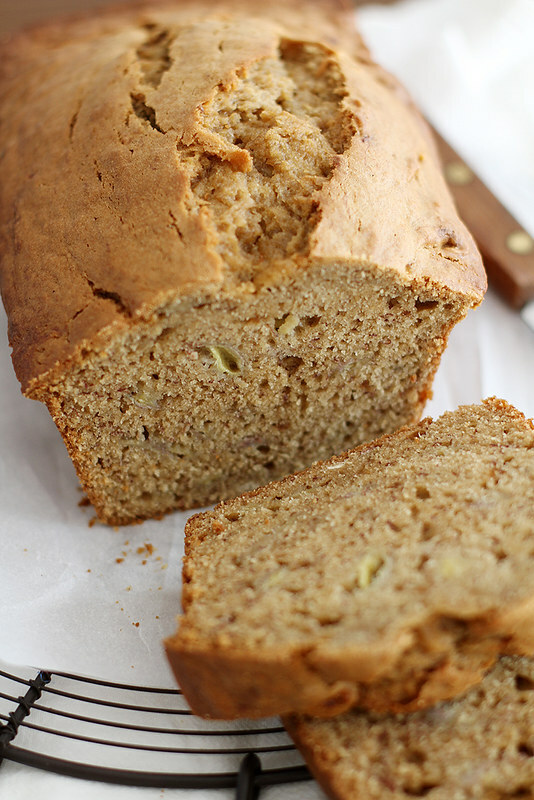 Cookie Butter Banana Bread. There isn’t really much more to say about this one. 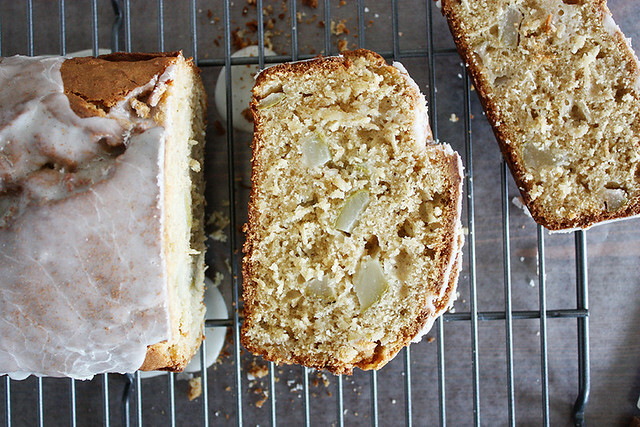 If I find a slice or five of this Chai-Spiced Coconut Pear Bread in my Christmas stocking, I’ll be one happy gal. 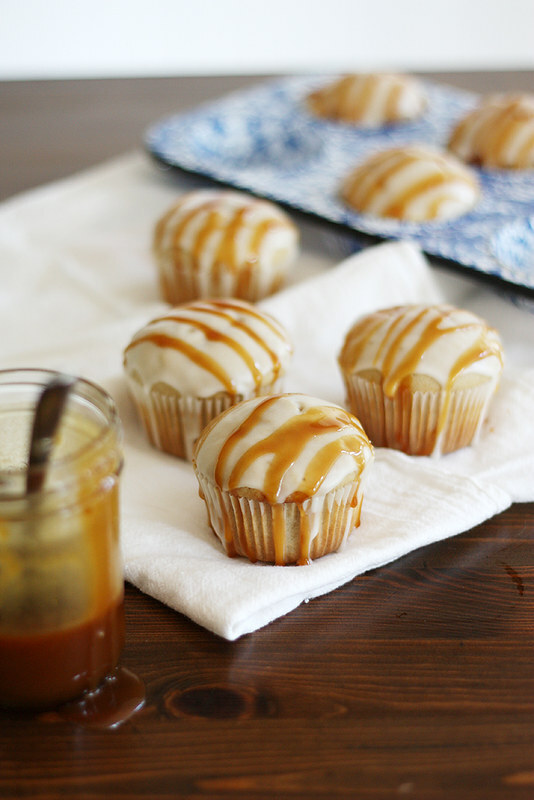 The same goes for these Caramel Macchiato Doughnut Muffins. I MEAN. 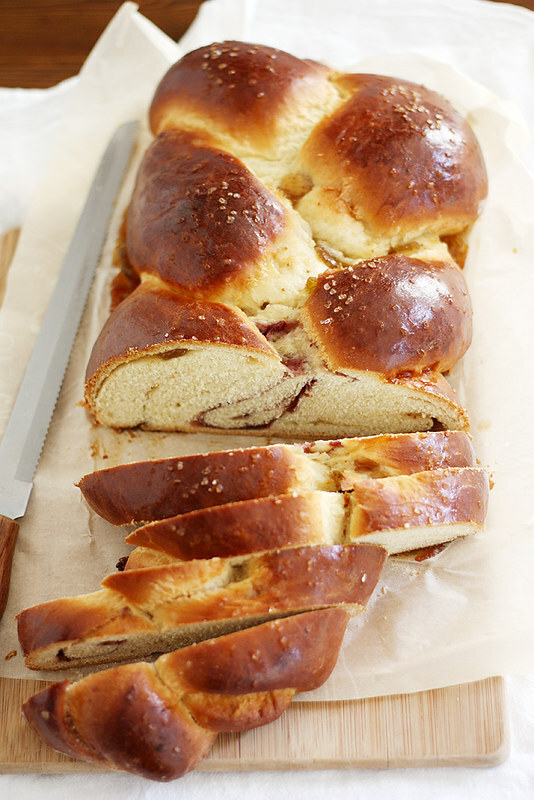 I’m feeling a good French toast with this Fig, Raspberry and Sea Salt Challah on Christmas morning. Heavenly. 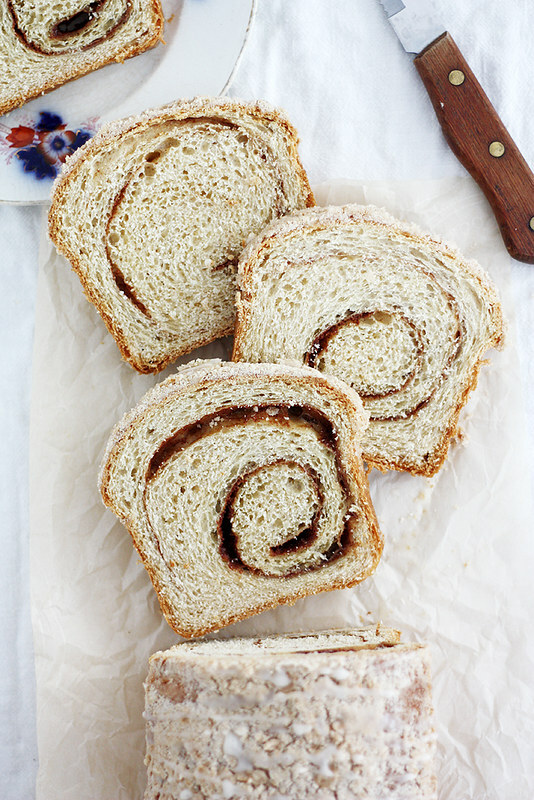 This Eggnog Cinnamon Swirl Bread is full of eggnog-y and cinnamon flavors and sparkles and snowflakes and sugarplum fairy dreams. Or just yums, maybe. 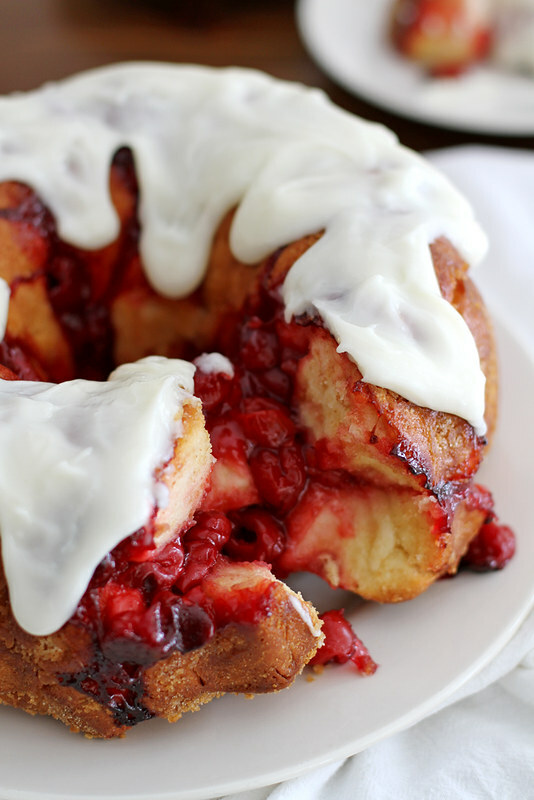 Cherry Cheesecake Monkey Bread, for anyone who loves to eat anything delicious. Happy baking and happy holidays, my dear friends! Next Post » merry christmas, everyone. 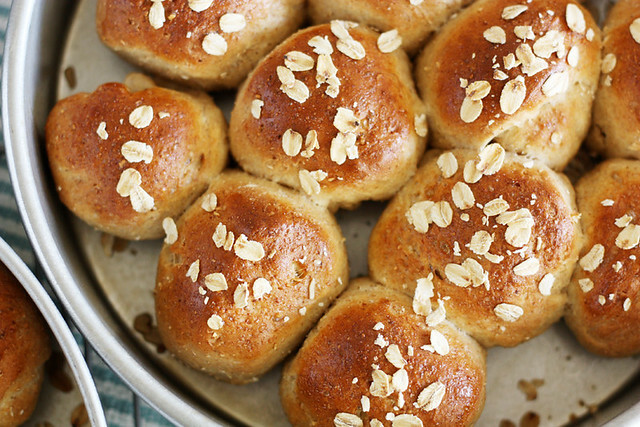 Yay for more bread! I am can not get enough Steph! Those morning glory scoooooooones! Ugh, all of these look so amazing. I don’t recall seeing the Monte Cristo ringlet – I must’ve missed that day somehow. Seriously, girl, all of these recipes are so clever and look perfect for sharing with the loved ones. Bravo, sister! Is it wrong that I want ALL of these?!? 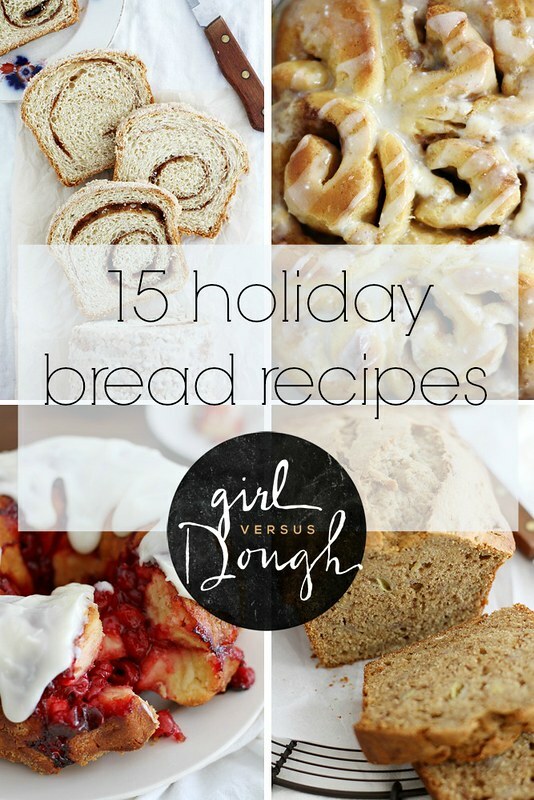 I could really go for one of each, but I’m loving the look of that eggnog cinnamon swirl bread! Such a great list, but the Monte Cristo Crescent Ring has to be my favourite! YUM! Stephanie what a well rounded list of breads. You are the ‘go to’ person that genre of recipes that is a fact. 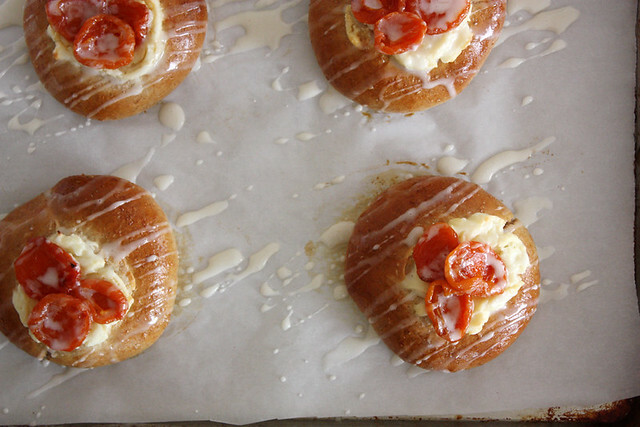 I am especially taken with the morning glory scones. Carol — Awww, thank you! I hope you have a wonderful holiday!